The story of Carrera y Carrera starts in Madrid, Spain, in 1885, when Saturio Esteban Carrera opened a small jewellery workshop in the Barrio de las Letras, the same artistic neighbourhood where the first edition of Don Quixote was printed. The Carrera family continued the tradition of fine jewellery-making through multiple generations, reaching Saturio’s great-grandson Manuel Carrera, who opened his own jewelry workshop in the old centre of Madrid in 1965. This year, the long family history has found a new chapter in Old York Lane, a gem of a location in Bloor-Yorkville, which echoes the feeling and intimacy of the city where the brand started over 130 years ago. Bloor-Yorkville is now home to the only Carrera y Carrera boutique in North America; a small oasis of Spanish culture, opened in the winter of 2016 with a visit from Manuel Carrera and other members of the family. Inside, each piece of handmade jewellery is displayed among custom furniture and Spanish music, so that all of the human senses resonate with the passion and love of the rich culture that guides each design. A few select jewellers in North America can offer some of these unique pieces, but here, you can see endless collections and fully experience the impact of a long family line of jewellers. Their Bloor-Yorkville boutique brings a different flair to the local jewellery market—Carrera y Carrera doesn’t really make jewellery. Its artisans consider its pieces to be miniature sculptures of gold and precious stones, a philosophy driven home by the signature piece in the Manuel Carrera Private Collection: a pendant of solid gold and diamonds depicting a woman and man’s embrace. From the Manuel Carrera Private Collection. Courtesy of Carrera y Carrera. Manuel’s dream to see Carrera y Carrera become an internationally-recognized brand has been borne out in multiple ways. The brand is a favourite among big-name celebrities, including Selena Gomez, Lady Gaga, Sofia Vergara, Jennifer Lopez, and Madonna; all wearing Carrera y Carrera pieces on the red carpet. A look through the boutique’s stylebook, and it’s immediately obvious how the firm’s pieces, which draw their inspiration from nature and elements of Spanish culture, are able to uniquely reflect the personality of each celebrity. The location bolsters this global intention as well—Toronto was chosen because it has the same growth, refined culture, diversity, and global influences as the Carrera y Carrera brand. Even though the company is reaching out worldwide, it maintains its connection to the small-scale, handmade techniques of the Carrera family. The firm has six to seven artisans who design and create each piece in a workshop in Madrid. They paint their designs, work them into wax, and then refine the shape to perfection. The sculptures are molded, refined, and set with jewels. Through closely guarded techniques, the artisans finish the process with a mix of matte-gloss and polished finishes, a signature touch which gives a unique depth to each piece. Right now, they are working on the next chapter in the Carrera story: a new collection to display at Baselworld 2017 – the show which serves as the epicentre of international jewelry and watches. 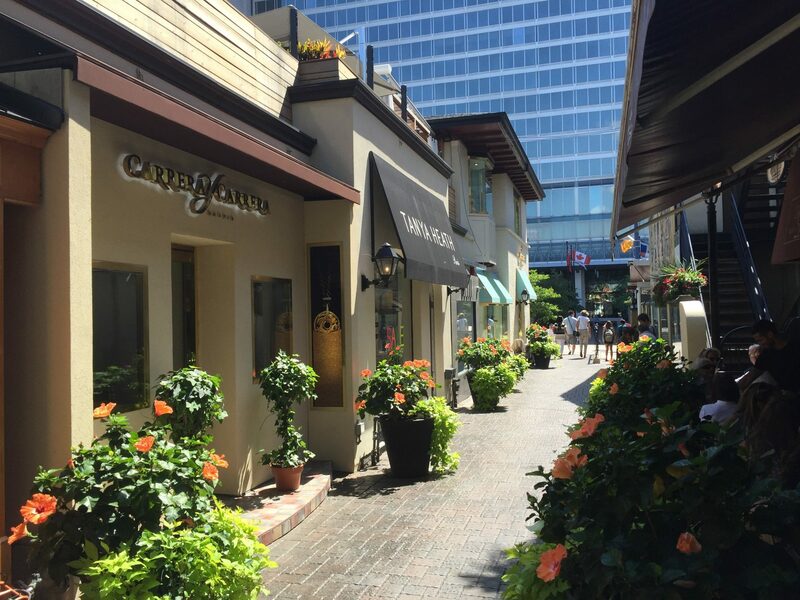 The collection will then take up home in Old York Lane, in the Bloor-Yorkville boutique. Inside the Boutique. Courtesy of Carrera y Carrera. In 1960, the company received the commission to make the wedding tiara of Queen Fabiola of Belgium for her royal wedding with King Baudouin of Belgium. The brand was then positioned as one of the most recognizable luxury brands internationally. In 1979, Carrera y Carrera expanded their product to the United States. In 1989, Queen Sofía of Spain was patroness of the presentation in the Royal Palace of Madrid of the sculptural piece “The Ark of Discovery of the Fifth Centennial” that later was exhibited in Madrid’s City Hall. In 1994 Carrera y Carrera expanded their product to Russia. In 2000, Miriam of Hungary, Princess of Turnovo, joined the design team. In 2013 Carrera y Carrera opened its first boutique in China. 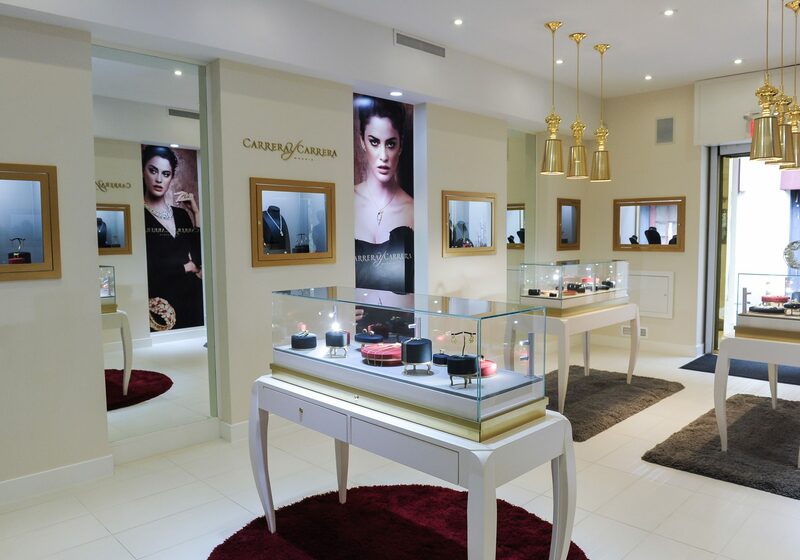 In 2016, Carrera y Carrera opened its first North American store in Bloor-Yorkville, and Manuel Carrera travelled from Spain for this momentous opening. This year marks the 130th anniversary of the brand!